Using electric mixer, beat butter, granulated and brown sugar until light and fluffy. Beat in egg and vanilla. Stir in flour, baking soda and salt until well blended. Stir in white chocolate and nuts. 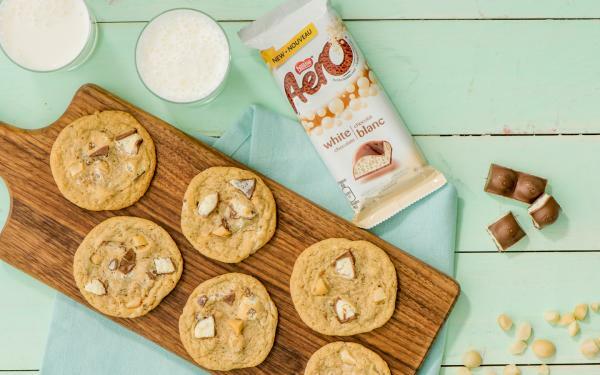 Substitute 1 bar (95 g) AERO® 70% Dark Chocolate Tablet for AERO® White Chocolate Tablet if desired.